We recently heard about the Indiana Amish midwives charged with felonies. 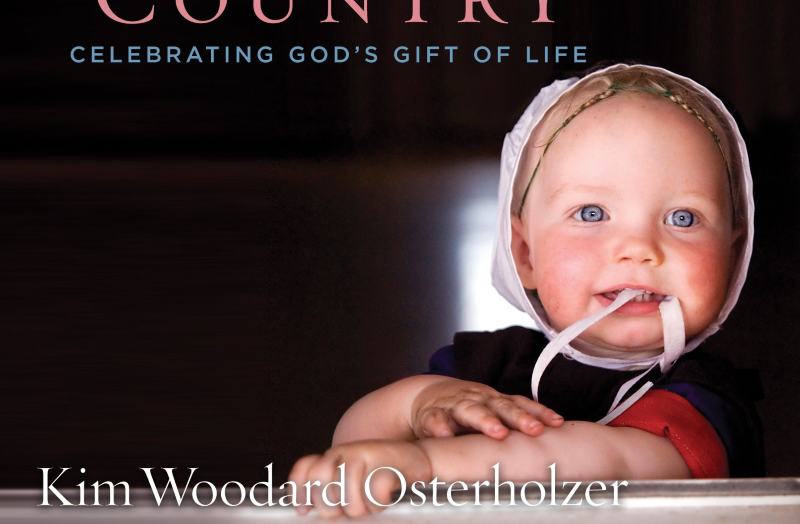 On a happier note, here’s a new book about one midwife’s experience among the Amish. Kim Osterholzer served as a midwifery apprentice to Amish in Michigan over a nine-year period, in the areas of Athens (Calhoun Co.) and Charlotte (Eaton Co.). Osterholzer said that her apprenticeship was a challenging time due to the long hours with working with expecting parents and studying. Some of the challenges in the Amish community are apparent with not only the lack of electricity, but the cultural differences, according to Osterholzer. She said that the parents don’t talk to their children about the birth of a new child. “The challenge is to have the midwife come over and to get the kids out of the house before she arrives,” she said. One parent even missed the birth of his child because he was sending his children over to a family member’s home in preparation of the midwife’s arrival. She also said you would need to have your phone charged at all times, because you might need to call an ambulance or hospital, as well as keeping up with clients. Since that time, she has experienced almost 555 births during her career as a midwife. Following some life changes, Osterholzer found the time to write about her experiences, based on the journal she kept during her apprenticeship. Her book was released just a couple weeks ago, and already has nearly 70 reviews on Amazon, most of them five stars. Below is an excerpt from Chapter 1 of A Midwife in Amish Country. We pick up here as Kim hurriedly arrives at a difficult-to-locate Amish farmhouse on a rainy night, as expectant mother Ruthann is in labor. I let myself into a narrow mudroom and my nostrils filled with the pungent crosshatching of odors singular to Amish entryways. The aroma of rich soil and that which springs from the soil. A whiff of grease, oils, and well-worn leather. The tang of harsh soaps. The musk of workhorse flanks, of udders bulging with warm milk, of guard dogs, of barn cats. The acridity of hens and the funk of swine. Scents that cling to boots and coats, fraying straw hats and bonnets lining the wall. Smells rubbed into the very floorboards and windowpanes and doorjambs of the room by generations of folk who’d spent their lives close to earth. I tapped lightly at the kitchen door, but turned its knob without waiting for a response. Midwives never wait before the doors of the laboring. “Hello?” I said, and I stepped inside. Three smiles shone in the mellow light of an oil lamp as I squeezed myself into the room and, at once, I had work-worn hands moving to ease my bags from my shoulders and a rivulet of Deutsch-seasoned talk filling my ears. Before I could even think to answer, a burly young man extended a massive hand my way. “David Ray,” he said with a nod of his head. The hearty pump I received nearly yanked me from my feet. Once up, once down. Pow. One hundred percent Amish farm boy. Two women followed David. They looked enough alike to be sisters. A set of plump figures clad in dark, unadorned dresses fastened up at the bodice with straight pins, two graying heads capped in white, four thick hands wrapped in blue veins, four mildly swollen ankles disappearing into blocky black shoes. As I shed my coat and slipped off my boots, Nora and I realized we’d already met. Nine summertimes before, in the first year of my apprenticeship, I helped Jean Balm, Nora’s midwife and my preceptor, care for her through her last pregnancy. The realization seemed to mollify the two mothers a bit, especially as Nora recalled that I, too, was pregnant then. They began to inquire after my family as I bent to fish my Doppler and blood pressure cuff from the depths of my bag, but stopped short when a soft moan reminded us why I was there. The three ushered me into the shadows of the next room where I could just make out a figure curled on a sofa. I knelt beside her. David settled himself at her feet. The woman’s hand found and squeezed my forearm in answer to my whispered greeting, but she drew in a long, deep breath in lieu of making a response. I kept still as she breathed her way through a ferocious contraction. The fingers on my arm tightened, tightened, tightened, and then relaxed as she exhaled. “Hello, Kim. Thank you for coming.” I could feel the smile in her voice. I paused. Would I ever cease to be surprised by the strength of these women, gracious and gentles and grateful, even in the throes of their labors? The ladies retreated in a murmur of voices. A moment later, the sound of running water issued form the bathroom, and Elizabeth returned to us with the lamp in hand. Its light danced across the twin surfaces of her eyeglasses and set her kapp aglow as the shadows streaked behind her. Ruthann drew in a another lungful of air and her fingers tightened again on my arm. I could see her now. She was young and slender, all arms, legs, and belly sheathed in a hand-stitched nightgown with a headful of dark hair bound into a scarf she’d knotted beneath her chin. She covered her face with her free hand and she blew and breathed and writhed slightly as her womb again squeezed her in its muscular grasp. Sixty-four seconds ticked by. She sighed and relaxed. Her black-brown eyes fluttered open, found mine and blinked, then she blushed and fumbled to expose the vast surface that was once her waist. A ping of sympathy pricked my heart. She’s shy and, of course, I’ve embarrassed her. Poor thing. Here, after having grown accustomed to Jean, she has to have someone new. Amish girls were always dreadfully shy – shy almost to the point of shame when it came to their bodies. I glanced away to squirt a dollop of gel onto the Doppler probe, wishing for a way to ease her anxieties – to tell her I was safe, to assure her I’d not be looking at her body, to promised I’d not notice or think of its details, to say all i wanted was to know the state of the child hidden within her. But I said nothing – what could I say? Trust is a thing only to be earned, and time is its currency. I swept the probe over her taut flesh until the pattering refrain and rhythm of the unborn child’s life-force filled the air. Ruthann looked at me again and her face brightened with a wonderful smile and I thought she might be okay with me tending to her after all. I returned her smile and counted the precious beats. When I’d laid aside the Doppler and finished taking her blood pressure, Ruthann asked if she could get into the water. At my nod, she hoisted herself to her feet and fairly sprinted across the span of hardwood floors separating her from the bathroom, intent on making it into the tub before another contraction could catch her out of it. I returned to the kitchen and rummaged around in my book bag for a scrap of paper and a pen, since I didn’t have Ruthann’s chart with me. I checked the time and jotted a few notes, then set the rest of my gear and Ruthann’s supplies in order. Elizabeth and Nora pulled the hide-a-bed from the sofa and covered the old mattress with a layer of plastic and a sheet, while I found and arranged the packages of disposable under-ads, the roll of paper towels, the olive oil, the wash cloths, the baby blankets, an the trash bags. When the three of us were finished with our tasks, we seated ourselves together at the kitchen table, but Ruthann called through the door to invite her mothers to join her in the bathroom. I was surprised she wanted company, but, for all the signs of impending labor she’d experienced through the day, she kept herself home from a wedding she had her heart set on attending, and said she guessed she’d at least like to hear about it. The women grabbed up their chairs without hesitation and disappeared into the steamy room. I’ve not finished the book yet. The plot-ending doesn’t matter, because it is written in such beautiful detail. It is as though you are there. I’ve only read the first chapter Jim, but I had a similar impression. Kim is a skilled writer. This looks fascinating! I must order it! Thanks for bringing it to our attention! Sure Kate! Would be curious to hear what you think if you read it. Eric, this is a very interesting post and a heartwarming excerpt. I’m looking forward to reading the book. Thanks for bringing this to the attention of your loyal readership. I’m sure it will be appreciated by many. Sure thing Randy, I hope you enjoy it. Seems like a good one. Certainly is easy to read and very descriptive. Really has perked my interest. Can’t wait to read more! 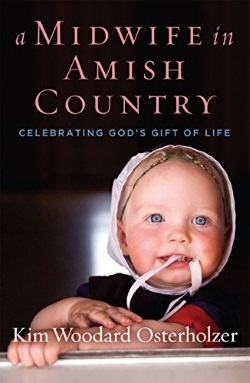 I have been reading about the Amish for many years and would love to read this one, too. I have always wondered about what midwives do whenever there are problems in giving birth; do they have to take the mothers to the hospital or call in a doctor? I read the first two chapters and they were very interesting. I really love to read about the Amish people. It is so peaceful to read about their simple life . I know they work so very hard, much harder than most of the Englishers(as they call us). I would love to win this book. Thank you very much and may God be with you.